Free Exhibitor Registration. Spaces are Limited! 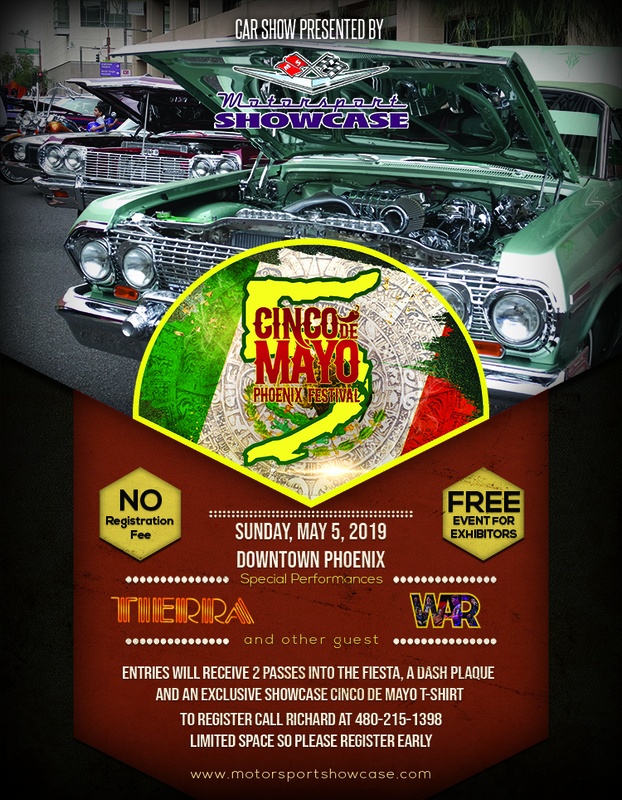 Motorsport Showcase Cinco De Mayo Showcase at this years Phoenix Cinco De Mayo Fiestas! This is a FREE EVENT for exhibitors! Each exhibitor will receive 2 wristbands to the Fiesta, a dash plaque, and an exclusive Showcase Cinco De Mayo t-shirt! This years concert features Lowrider Legend Artists Tierra and WAR! Please call 480-215-1398 to reserve your space. More event information coming soon!! !